SEVEROMORSK, July 27 /ITAR-TASS/. Three new submarines - the Knyaz Oleg (Borei project), the Krasnoyarsk (Yasen project) and the Khabarovsk - were laid down on Sunday at Russia’s Sevmash shipyards, Sevmash director general Mikhail Budnichenko told Russian President Vladimir Putin from Severodvinsk. “Today, under the state arms programme endorsed by you and in compliance with the schedule set by the Russian ministry of defence, Sevmash laid down three new atomic submarines - the Knyaz Oleg, which is the fifth Borei, the Khabarovsk and one more Yasen, the modernized project 885M,” Budnichenko said during a videoconference session with the president who was onboard the Admiral Kuznetsov heavy aircraft carrier cruiser in Severomork. A representative from the Russian defence ministry told Putin, who is Russia’s Supreme Commander-in-Chief, that the projects were properly financed. “So, let us wait for Sevmash to do its job in strict compliance with the contract terms,” he said. 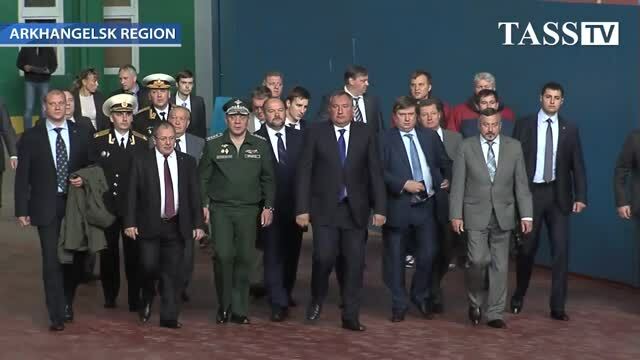 Deputy Prime Minister Dmitry Rogozin, also present at Sevmash, said that the governmental military industry commission was working in collaboration with directors of sectoral enterprises to solve various problems, including social. “Because what matters most is people, their wellbeing, opportunities for self realization. Everything is normal in general,” he said. On Sunday, the Russian Navy Day, President Putin visited the home base of Russia’s Northern Fleet in the city of Severomorsk in Russia’s northern Murmansk region, where he laid a wreath to the monument to Severomorsk heroes, inspected a lineup of warships and reviewed a parade and a theatrical show. In his congratulatory message, the president reassured that the state would spare no effort to further develop Russia’s Navy, including the Black Sea Fleet. 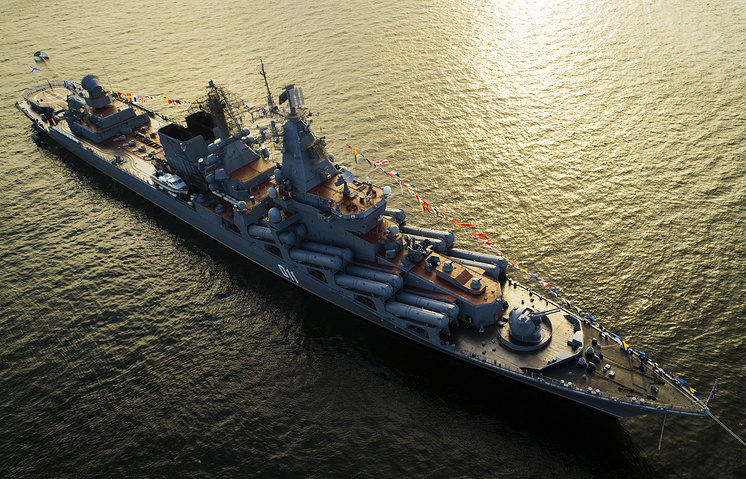 “Our special priorities include the strengthening of the combat might of the Black Sea Fleet. We will renew its ships, create a state-of-the-art military and social infrastructure,” he vowed. Last year, he said, Russian ships had performed 43 missions, including to protect Russian civil vessels from pirates. The strength and glory of the Russian Navy “will only grow,” Russian President Vladimir Putin said on Sunday, reviewing a parade on the occasion of the Russian Navy Day onboard the Admiral Kuznetsov heavy aircraft carrying cruiser. “The Navy’s combat readiness and mobility will grow, its material and technical facilities will be built up, the coastal infrastructure will be modernized. New ships will be built,” Putin pledged. He noted that last year, as many as 26 warships had been floated out and seven ships had been transferred to the Navy, including the Yuri Dolgoruky and Alexander Nevsky strategic nuclear submarines. Apart from that, the Severodvinsk nuclear submarine with cruise missiles, which has already passed builder’s tests, will soon take up combat duty. Sixty more ships, boats and support vessels are under construction. Eleven vessels have recently been laid down. The Knyaz Oleg strategic missile cruiser will be the fifth 995A Borei class submarine, while the multipurpose nuclear submarine Krasnoyarsk will be the fourth 885M Yasen class vessel. The Sevmash shipyard has already handed over two Borei-class nuclear submarines to the Russian Navy: the Yuri Dolgorukiy and Alexander Nevsky. The third sub of this type - the Vladimir Monomakh - is expected to come into service with the Russian Navy in 2014. The Yuri Dolgorukiy nuclear submarine, the first modernized Borei class ship, is still under construction. It was laid down in Severodvinsk in July 2012 in the presence of Russian President Vladimir Putin. The Russian Navy was adopted the Severodvinsk Yasen-class multi-purpose nuclear attack submarine for reliability field testing in late 2013. The second 885M Yasen-class submarine Kazan was laid down in 2009. 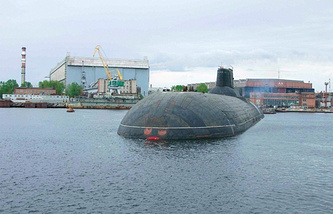 The third submarine Novosibirsk was laid down in 2013.